Just a quick post to share with you my progress on box 4 of my Blooming Blossom quilt. I know I say it every month but I’m so in love with this. The fabric that Sew and Quilt have chosen is just so beautiful and uses fabric that I wouldn’t normally pick and yet I really love! 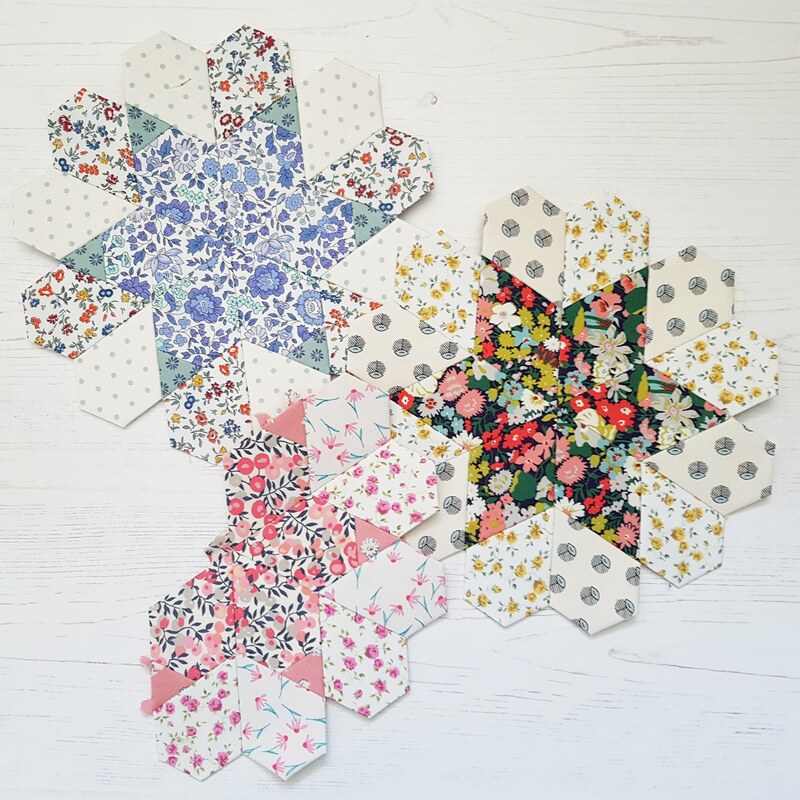 I am a little behind on my joining blocks and I really should start sewing it all together but at the moment I am really enjoying seeing a pretty stack of blossoms. I hope you enjoy the May bank holiday and have some lovely sunny weather, it’s looking promising here so far! If you get a chance to have a look I am having a sale in my shop starting today through till midnight Monday. 15 % off all items. There is no need for a code all prices have been adjusted.